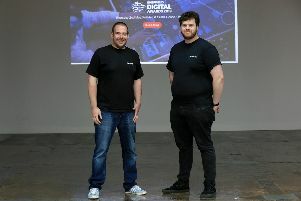 A web design and online marketing company that started in its founder’s spare back bedroom in Dore is expanding again. Ben Walker set up Arise after identifying a gap in the market, and quickly gained a good reputation among Sheffield businesses. This led to him recruiting Tim Jackson as senior web developer last September, and Natalie Chappell as head of online marketing in November. He now wants to expand further by adding a creative web developer to the company. “After being in the web business for over 10 years, I wanted to make a real difference,” he said. “It’s truly exciting to see Arise growing, and it’s really great to have Tim and Natalie on board and building the business with me.